Logan is now in theaters and blowing up at the box office. The film is Hugh Jackman’s last outing as Wolverine and likely Patrick Stewart’s final performance as Professor X. The film also introduces Dafne Keen as Laura, the film version of X-23 from the Marvel Comics Universe. As we previously covered, Logan has a surprise appearance by classic X-Force and New Mutants character Rictor, but this Rictor has a very different origin than his comic book counterpart and it includes an Easter egg reference to a classic X-Men villain. Unlike the Rictor of the Marvel Comics Universe, the Rictor of Logan was a created in the Alkali Transigen lab as part of the same X-23 program that Laura was. Laura was clone from Logan’s DNA. Rictor, according to the files Laura took with her from the Alkali Transigen compound, was clone from the DNA of a mutant named Dominic Petros. Dominic Petros in the Marvel Comics Universe is the mutant supervillain called Avalanche. 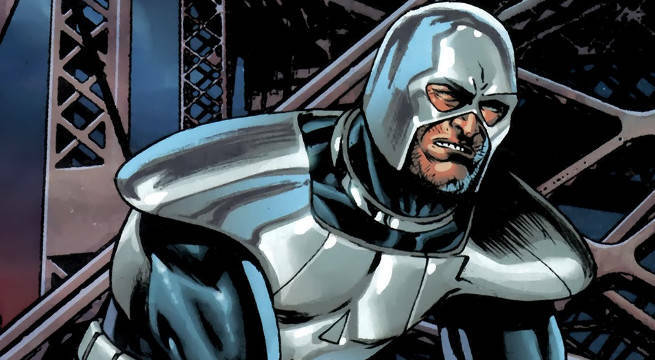 Avalanche has been a member of multiple iterations of the Brotherhood of Mutants, included when it was reimagined as the government-sponsored superhero team called Freedom Force. Avalanche and Rictor both have very similar mutant powers involving the manipulation of geological matter through the release of seismic vibration from their hands, so it makes sense to connect the two in this way for Logan. Avalanche himself has never actually appeared in the X-Men movies universe, though he has been a part of all three X-Men television cartoons. He appears as a member of the Brotherhood in X-Men: The Animated Series, X-Men: Evolution, and Wolverine and the X-Men. Logan is garnering near universe critical praise. ComicBook.com's Brandon Davis called Logan "the perfect finale." Logan currently has an 88.58 ComicBook Composite score, the second-highest ComicBook Composite score of any comic book movie, and a 4.75 out of 5 user rating, making it the top rated of all comic book movies among ComicBook.com readers. Let us know what you thought of Logan by rating it below. In Logan, in the near future, a weary Logan cares for an ailing Professor X in a hide out on the Mexican border. But Logan's attempts to hide from the world and his legacy are up-ended when a young mutant arrives, being pursued by dark forces. Logan is directed by James Mangold, who co-wrote the screenplay with Scott Frank and Michael Green, from a story by Mangold, and also stars Patrick Stewart, Richard E. Grant, Boyd Holbrook, Stephen Merchant and Dafne Keen.